Hello fellow crafters! 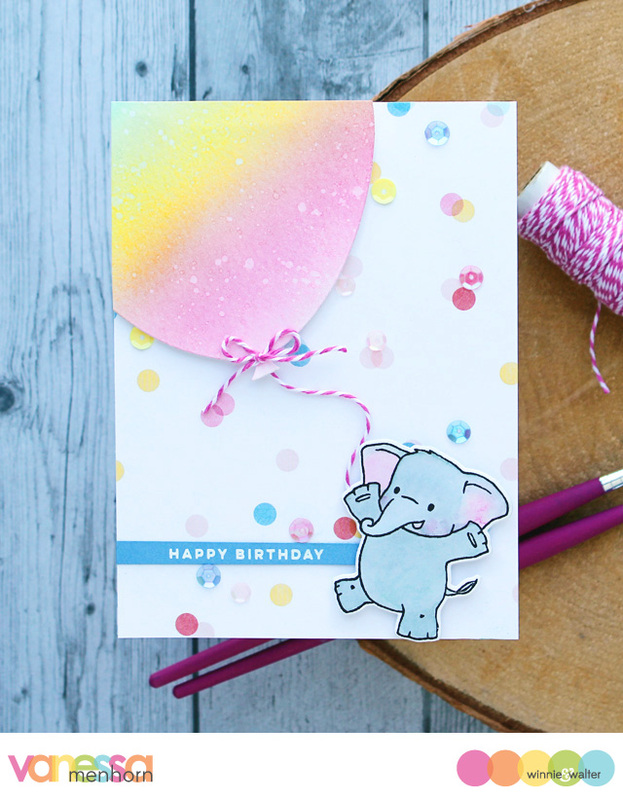 Vanessa here with a cute birthday card using more of the fab new July Release products! I started with a card base I made from patterned paper. 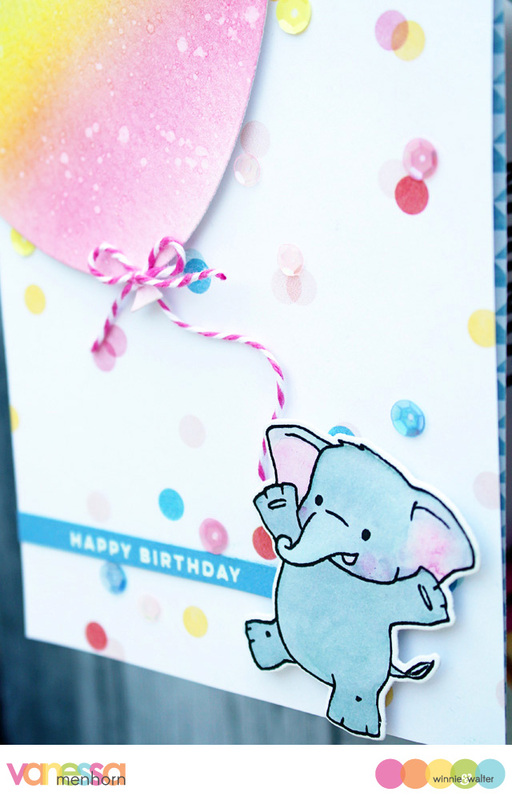 Then I stamped the cute elephant from Happy Dance with Evelin T Designs, colored it with watercolors, die-cut it with the matching die and adhered it with foam tape. I inked a panel of watercolor paper with pink and yellow ink, spritzed it with water and die-cut the biggest balloon from the Big Balloon Cutaways. Now I tied-on pink baker's twine, trimmed the balloon and adhered it to the card with foam tape. I stamped and heat-embossed the sentiment from Sentimental: Birthday onto a strip of blue cardstock, trimmed it and adhered it to the card. Finally, I added matching sequins. I hope you like my new card! Thank you so much for stopping by! Oh what a fun, festive card! I really love the new Big Balloon dies--now more than ever! Super adorable card! Love the oversized soft colored balloon and the cute elephant. The little ellie is just the cutest thing!!! Love that you gave her a balloon....so super-fun with the pink baker's twine. Thank you for sharing this adorable card!